When ordering 2 ski stands or more, you will receive the floor rails for free. However, the rails need to be ordered separately. The ski stands glide over the floor rails, thus allowing an optimal use of the room space. 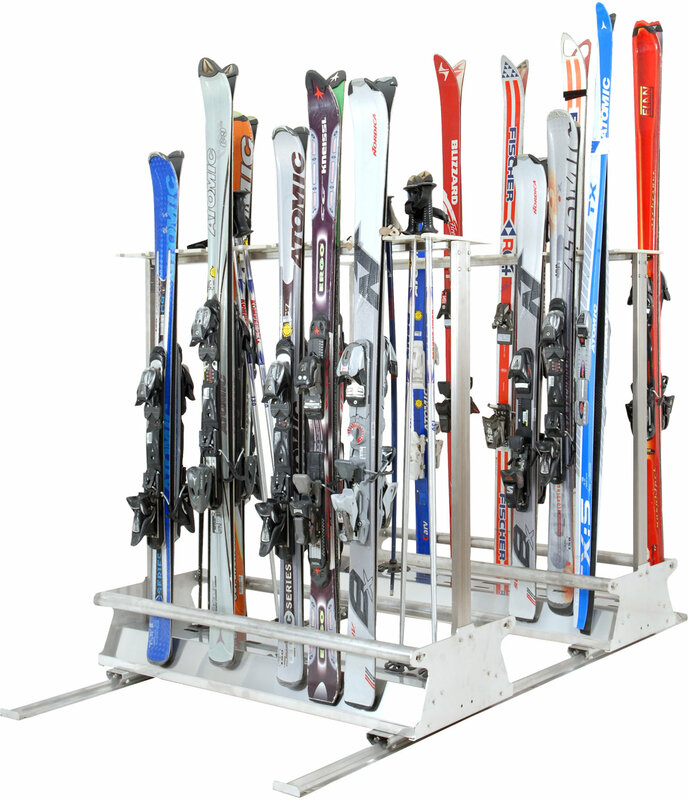 All ski stands are made of high-grade steel, assembly material included. We have a network of competent service and distribution partners in all over Europe and are happy to connect you with a contact in your area. For any further information on our products please contact our export division.